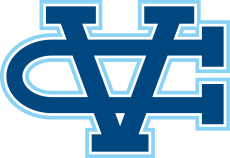 Los Gatos, CA - Valley Christian opened their season in spectacular fashion Saturday. The day began with a win in the 4 x 100 meter relay. The team of Nicolas Trofort, Charlie Bostic, Gary Coleman and Alton Julian scorched the relay in 42.91, currently the top time in CCS this season and the fourth fastest in school history. D’Angelo McKenzie has been on a mission this season, perfectly demonstrated by breaking his own school record in the 110 hurdles running 15.16. The sprint crew continued to have a presence throughout the day. The varsity boys 100 meter crew was nothing short of dominant placing three in the top six: Bostic (11.28), McKenzie (11.31) and Trofort (11.40). Alton Julian was 13th running a personal best 11.48 highlighting the deepest team performance in the sprints for the day. The field events were just as impressive. Matt Weeks won the triple jump with a personal best 44-1.5, strengthening his mark at #5 on the team's all-time list. He also finished just inches off his personal best in the long jump with mark of 20-4.5 and jumped 5-8 in the high jump. Jonathan Sum has been a consistent contributor on the track & field team for the past four years and finally got the breakthrough day he has been working for. He finished the day with two personal bests: 40-6.5 in the triple jump, which is #8 all-time for the Warriors, and 20-4 in the long jump which lands him #9 on all-time. The throws continue to be a strength for the Warriors. Dylan McCreery finished with a season best 49-5 good for second place. It was admittedly an off day for Max Moore, the school record holder in the discus. His mark of 126-2 was good for eighth place. Sam Cuevas paced the distance crew in the 1600 meters with a personal best time 4:42, a time which lands #6 all-time for the Warriors. Joe Renatti finished in 4:46, Cameron Lockard in 4:48. A trio of freshman led the girls sprint crew in the 100 meters. Amber Lao was the top finisher for the Lady Warriors running a personal best 13.45. Emily Hidalgo (13.55) and Courtney Clark (13.78) also cracked the 14 second mark. Aamani Ponnekanti (13.99) and Skye Scott (14.03) also had season bests. Ashley Clayton won her heat of the 400 meters with a personal best 61.97. Alexis Zenere was also a heat winner running a personal best 65.30. Nicole Shak ran 18.38 in the 100 hurdles; Nicole Hobaugh ran a personal best 19.03. Caitlyn Rowland debuted in the 30 hurdles with a mark of 50.39. Katelyn Stone led the Lady Warriors in the distance events running 5:38 for the distance. Hannah Theaker and Sophia Patterson both finishing in 5:49. Jordan Hahn also cracked 6 minutes running 5:56. Freshman Rebecca Rey finished in 6:05, Maylene Aguilar 6:21. In the field events Anna Maumalanga finished fourth in the women’s discus with a mark of 109-3.